Dwayne "The Rock" Johnson had the best date of the night at Wednesday's 2017 People's Choice Awards! The "The Fate of the Furious" actor brought his look-alike 15-year-old daughter, Simone, to the 43rd annual award ceremony and had everyone melting at how cute they were. 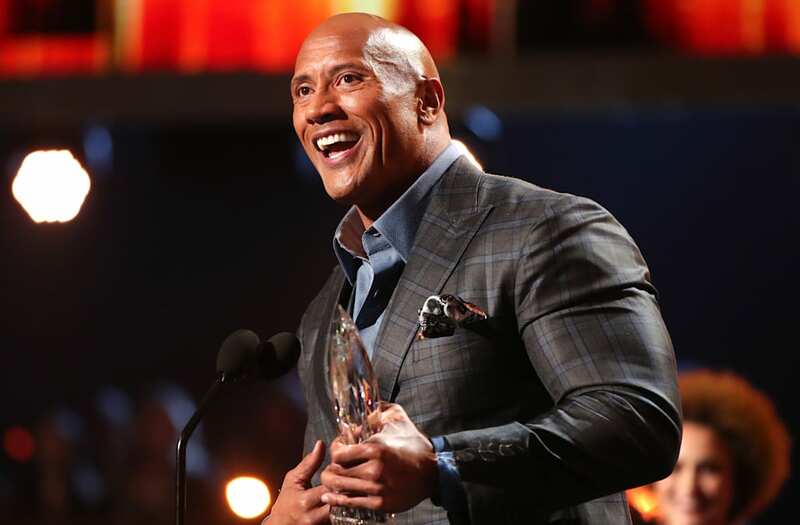 Johnson took home the award for Favorite Premium Series TV Actor for his work on HBO's "Ballers," and he made sure to thank his adoring daughter (with ex Dany Garcia) when he took to the stage for his acceptance speech. "I love you so much," he gushed. "Yeah, she looks like Daddy. Woo!" During his speech, Johnson also made a faux war of words with friend Kevin Hart. "It's nice to be important, but it's more important to be nice," he said. "Unless you're talking to Kevin Hart, in which you say 'go f--k yourself!'" Hart hilariously stuck up his middle finger in response. Johnson was one of the many stars that actually skipped the red carpet on Wednesday night. Though it's unclear why some of them didn't strut their stuff for the cameras, some of the celebs -- like fellow winner Ellen DeGeneres -- said that they got stuck in traffic and didn't have time.